Seoul (AFP) – A rash of complaints about controversial decisions has put Asia’s football referees on the spot despite strenuous efforts to raise standards. Japan and Thailand both lodged official protests after key decisions went against them in this month’s World Cup qualifiers, while standards are mixed at club level. Japan were incensed after Takuma Asano’s shot crossed the line against the United Arab Emirates, but went unnoticed by Qatari ref Abdulrahman Al Jassim. They lost the game 2-1. And Thailand complained when China’s Fu Ming awarded a penalty in the closing minutes of their qualifier against Saudi Arabia, which consigned them to a 1-0 defeat in Riyadh. “The penalty was not our mistake. In fact, in the first half, we should have been awarded a penalty,” Thai coach Kiatisuk Senamuang told reporters. Five days later, Saudi Arabia were trailing Iraq 1-0 until they were awarded penalties in the 81st and 87th minutes by Qatar’s Khamis Al Marri. They scored both to win 2-1. Such controversies are hardly new to football, but they have raised fresh questions about refereeing standards as Asian football strives to match other regions. 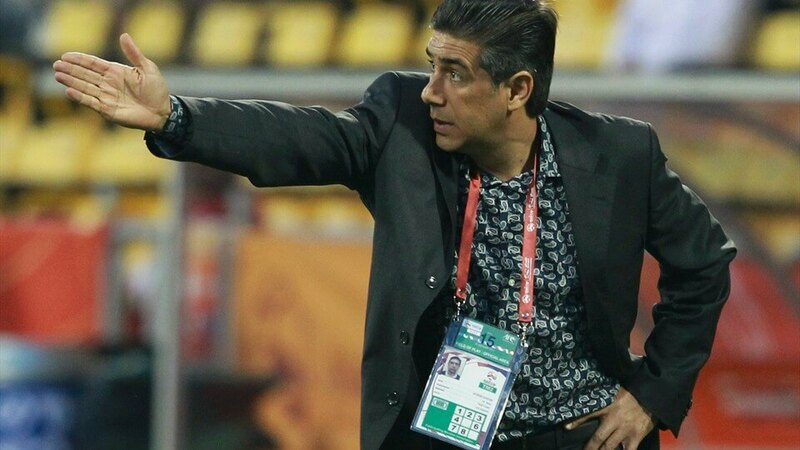 Former Iran coach Afshin Ghotbi, who has also taken charge of clubs in Thailand and Japan, said referee selection was a sensitive area. After Japan’s “ghost goal” in Saitama, Japanese fans on social media questioned whether the Arabic-speaking Qatari referee was biased in favour of the UAE. “Assigning an official from an Arabic-speaking country close to the UAE in a game between Japan and UAE placed unnecessary pressure on the officiating team,” Ghotbi told AFP. Al Jassim was later criticised for disallowing an apparently legitimate goal for Jeonbuk Hyundai Motors against Shanghai SIPG in the AFC Champions League quarter-finals. However, the incident was quickly forgotten as Jeonbuk went on to win 5-0. The Kuala Lumpur-based Asian Football Confederation refused to comment on individual referees. But it has been increasingly active in referee development and education, holding seminars and courses all over the continent. Strides have been made. Ravshan Irmatov of Uzbekistan has taken charge of World Cup semi-finals and quarter-finals, and Iran’s Alireza Faghani officiated at the 2016 Rio Olympic gold medal match. One high-profile outing didn’t go so well. In the opening match of the 2014 World Cup, Japan’s Yuichi Nishimura was roundly criticised when he gave Brazil a highly disputable penalty against Croatia. After it put the misfiring hosts 2-1 up and on their way to a 3-1 win, Brazil’s O Globo newspaper gratefully ran the headline “Arigato” (“Thank you” in Japanese). Later that year, Nishimura was again under fire when he turned down Al Hilal’s repeated penalty appeals in their AFC Champions League final defeat to Western Sydney Wanderers. The Saudi club issued an angry statement alleging corruption and calling the game a “black spot in the history of Asian football” which had “looted the rights of an entire nation”. In a continent which has endured a litany of match-fixing scandals, suspicions of corruption are never far away. But Alfred Riedl, coach of Indonesia with spells in Vietnam, Laos, Palestine and Kuwait, said sometimes the quality of refereeing is simply not good enough. “The standard of referees in Southeast Asia is simply not adequate and is often really bad,” Riedl told AFP. 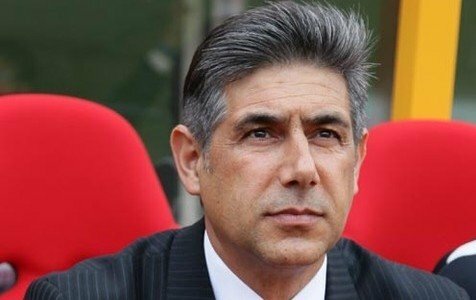 Ghotbi said that while improvements have been made in Asian officiating, more could be done. “Compared to… other continents, there are differences in judgement of referees, their management and interaction with players and coaches,” he said. China also complained about a disallowed goal in the 0-0 draw with Hong Kong in November which appeared to have torpedoed their World Cup qualifying campaign. But, as is the way with such protests, the result was allowed to stand. 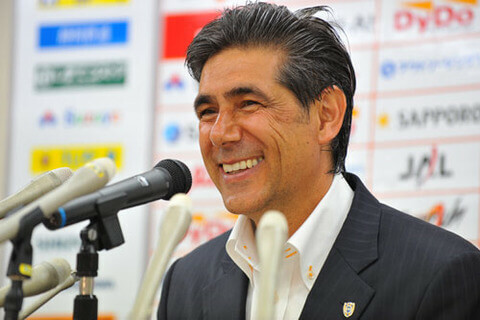 Japan must approach Thailand with caution and be wary of their crafty tactics in Tuesday’s Group B match in the final round of qualifying for the 2018 World Cup, says former Shimizu S-Pulse manager Afshin Ghotbi. Japan have arrived in Bangkok bearing the emotional scars of a controversial 2-1 defeat at home United Arab Emirates on Thursday, while Thailand put up a brave fight before succumbing to a late penalty in a 1-0 defeat in their group opener away to Saudi Arabia. 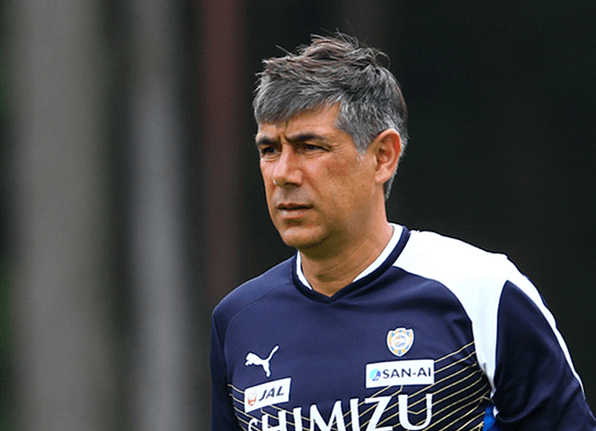 Ghotbi, who has experience managing in Thailand at Premier League champions Buriram United, also believes Japan’s experience in major international competition will give them the edge, but says Thailand will not be easy to beat on their own turf. “Thai players are generally technical, dynamic and physically and mentally strong. Due to the nature of Thai football, the Thai players also possess the gamesmanship qualities (ie. winning fouls, wasting time, etc. ),” Ghotbi told Kyodo News by email. “For all the teams competing for World Cup spots, the key will be taking maximum points at home. Thailand will be a difficult team to beat at home, and Japan must approach the game with caution,” the former Iran coach said. Ghotbi said that one advantage the Thais do have is that the main players in their squad play for the same club side, Muanthong United FC, where former S-Pulse defender Naoaki Aoyama also plies his trade. “The Thai national team lacks the experience at the global stage to compete with the best in Asia such as Japan. The majority of Japanese national team players compete in the European leagues, giving them an edge on many levels compared to the Thai players who compete in the Thai Premier League,” said the Iranian-American. Soccer is the most popular sport in Thailand, but until a few years ago, there was a lot more interest in European soccer than the TPL and the national team, says Atsuo Ogura, international marketing and sales manager at TPL club Chonburi FC. “European soccer is the most popular, the English Premier League and the (European) Champions League. It used to be that soccer news was 90 percent about the EPL and 10 percent about the TPL,” Ogura, the son of former Japan Football Association chief Junji Ogura, said. Thailand striker Teerasil Dangda is the danger man that Japan must keep a watchful eye on, Ogura said. “Teerasil plays for the same team as Aoyama and according to Aoyama he is on a different dimension in every department. He could more than hold his own even in the J-League,” Ogura said.